December is almost here and soon we’ll be buried in this stuff. Which of the following movies set in winter do you want to be our movie of the week? of baby seals in Saskatchewan. I wouldn’t expect people from most countries in the world to not know this stuff was hogwash, but for it to be our southern neighbour—it’s just so dang funny bro! I mean, the US is the focus of the entire world. This is the place that cranks out celebrities like a widget factory, dominates just about every category in the olympics, and can nuke half the globe before most other countries can get their army boots on. And we’ve got an inside joke on them. Call it an inferiority complex if you will, but we love it. Canada’s flag and immediately think of maple trees. They look at South Korea’s and see Pepsi and staple marks. They see Japan’s flag and think, “Uh, is this one finished yet?” But one look at the American flag and you see civil war soldiers with muskets, Rocky mounting up a comeback on Ivan Drago, a super cool biker jacket, or an eagle laying the smackdown on some loser animal. Seriously, that flag is so badass! FOUR LANE HIGHWAYS. It is so nice to travel south of the border and still keep clipping along at a good pace despite the fact that there’s a bazillion cars on the road. So many lanes! Yeah baby yeah! It’s like American highways are the king-size beds of the traveling world. Canada’s highways are the single cots. British roads are the “I slept in the tub” routes. THANKSGIVING. Though I prefer this holiday in October, and though I don’t like it being a “Christmas kickoff,” I do like how it falls on a Thursday and I love how it gets so much more emphasis in America. One of my fondest memories of living in the US was playing football in a field with friends on Thanksgiving day in North Carolina. It was so much fun and felt like such a genuine American experience. A TON OF TV SHOWS. While I do recognize the great art in Canadian classics like Seeing Things, Bob Izumi’s Real Fishing Show and The Beach Combers, I grew up loving American TV shows. Classic cartoons like the The Pink Panther and Spongebob Squarepants, engrossing dramas like Little House on the Prairie and Breaking Bad, action shows like Knight Rider and Hawaii Five-0, laugh-out-loud comedy shows like Saturday Night Live and Fox News. There’s nothing quite like American television. I grew up loving it and still do. BASEBALL. It’s funny, I don’t really like baseball, but I absolutely love the nostalgia it has with Americans. Visiting an MLB ball field in the US can be as moving and captivating as visiting the Smithsonian. Congratulations American Graffiti. This is your week. Best Actress: Cindy Williams in Amercian Graffiti. Best Actor: Edward Norton in American History X. And a new top ten list: My top ten favourite Americans! By the time this new week will start, American Thanksgiving will have already taken place. So in honour of our neighbours to the south, choose on of the following movies with “American” in the title as this week’s movie. And please note the red-white-blue arrangement in the image above. Ahem. Writing is fun to me. It’s therapeutic and adventurous. And writing means playing around with words: their meaning, their sound, their implications. 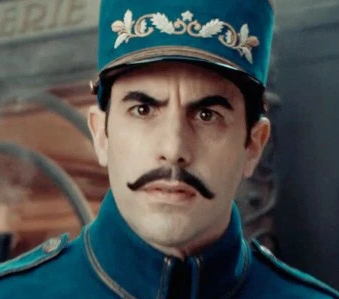 Ratatouille has been an inspiring movie to me for years (8 to be exact), and mostly because of the chef character Auguste Gusteau. I’ve written about him and his philosophy before, but this week I just want to focus on his name. Congratulations Ale Tutorial. This is your week. Best Actress: Rachel McAdams (Charles Dam Cam) in Midnight in Paris. Best Actor: Sacha Baron Cohen (Oh A Beacon’s Ranch) in Hugo. Best Quote: “My friends, I address you all tonight as you truly are; wizards, mermaids, travelers, adventurers, magicians… Come and dream with me.” — Georges Méliès (Ben Kingsley) in Hugo. Can you believe it’s less than five weeks until Art Schism is here?? I’m sure you’ve heard of the movie site Rotten Tomatoes. Like IMDb it is a film database, but instead of getting the public to rate movies out of 10 stars, this site gives a percentage of how many critics liked the movie (or didn’t) based on their reviews. They have a very interesting segment on their site called “Five Favourite Movies” where they ask actors, directors, and other celebrities to name their top—you guessed it—five favourite movies. You can check it out yourself, but I thought I’d share a few discoveries I made while browsing through myself. It’s interesting to see who likes what. And btw, I’ve always thought Hayden Panettiere had great taste. 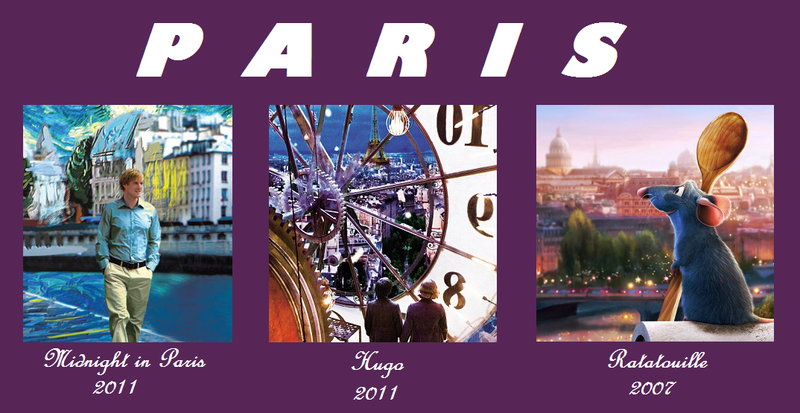 Paris is on our minds and hearts these days, so how about we take three great movies that are all set in this romantic city? 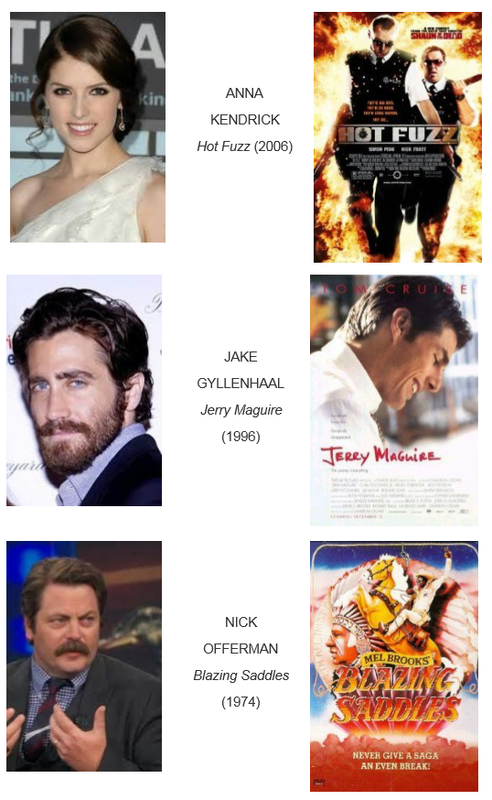 Which one do you think should be this week’s movie? Naive Fool or Cold-Hearted Cynic? This was a statement that my siblings and I would say to each other when we would question each other’s motives or intentions. It was a kid’s way of saying, “You’re faking.” So I guess when it came to our relationship with each other, we were a bit cynical. Ever hear of the term “film noir”? I’ve heard it plenty of times but never really knew what it was. When I first heard it, I thought it must refer to movies that are dark. Some of them are of course, but I didn’t have the definition quite right. As we all know, movies were still a very new thing in the 20’s and 30’s. During this time most films were either heart-warming stories with happy endings, musicals, or some kind of epic tale. In the 40’s, movie characters and plots got a little cynical. There were often private eyes or some kind of character who was getting to the bottom of something and had to question other characters’ motives. Much of the time, sexual motives were either presumed or turned out to be the culprit. 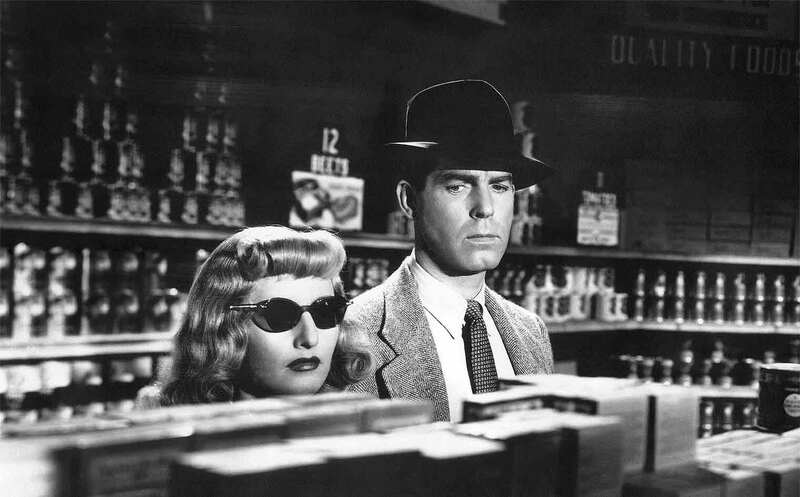 Double Indemnity was one of the earliest classic film noir movies. Cynicism is a good thing, but only in small doses. It’s the same with its opposite disposition: naivete. A lot of cynicism leads to becoming a grumpy old crank. A lot of naivete leads to being trampled on and embarrassment. The only thing that gives either any value is wisdom. None of us can just summon the perfect amount of wisdom that gives us the perfect answer at all times, but we can do our best to avoid shutting out either voice. I’ve found one of my closest allies in this process is silence. Holding the tongue and giving the mind a few minutes. Works like a charm. Congratulations Double Indemnity. This is your week. 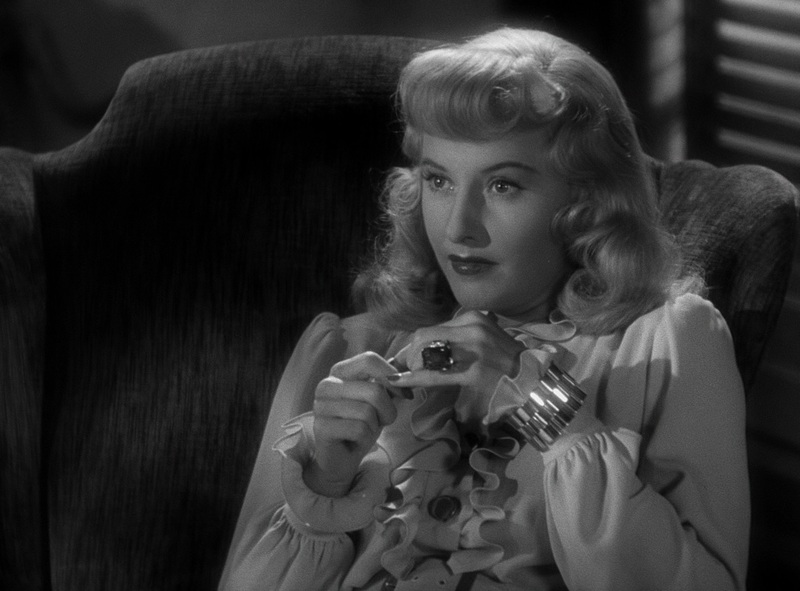 Best Actress: Barbara Stanwyck in Double Indemnity. Best Actor: Both Orson Welles and Humphrey Bogart are screen legends. In this line-up, I prefer Bogart in The Treasure of the Sierra Madre. Best Quote: “I know what gold does to men’s souls.” — Howard in The Treasure of the Sierra Madre. 😊 THUMBS UP: Both Double Indemnity and The Third Man. I really enjoyed these movies and I believe they hold up the test of time. 😞 THUMBS DOWN: Touch of Evil — Even though the great Orson Welles directed this one, it has Charlton Heston playing a Mexican man. Pretty ridiculous. 😊 THUMBS UP: The Night of the Hunter. — It’s creepy, and in a good way. Just watched it this week and loved it. 😞 THUMBS DOWN: Sunset Boulevard — This one is a classic, so don’t take my word for it. See it yourself. But for me Gloria Swanson’s performance is too much to take (though iconic nonetheless). 😊 THUMBS UP: L.A. Confidential — This one is more of an homage to film noir, but it fits the genre and is an awesome flick. 😞 THUMBS DOWN: Chinatown — Again, this one is classic, and I do believe I need to rewatch it. But I just didn’t get it. And to the country that was a huge influence and source of many classic film noir movies, you’re in our prayers France. Paris Je T’aime (2006) starring Natalie Portman, Juliette Binoche and Steve Buscemi. Directed by Gérard Depardieu.